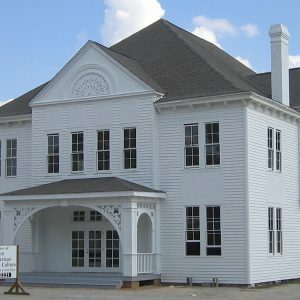 The Immanuel School, built in 1889-1890, is significant for its association with the privately-funded parochial education of black children in Aiken and surrounding South Carolina counties from 1890 until it closed in 1932. In 2004, it was purchased by a group of concerned citizens to become the Center for African American History, Art & Culture. The center’s goal is to preserve the iconic Victorian structure as well as to preserve and present the cultural legacy of the African American diaspora and to chronicle the contributions of African Americans in Aiken County.